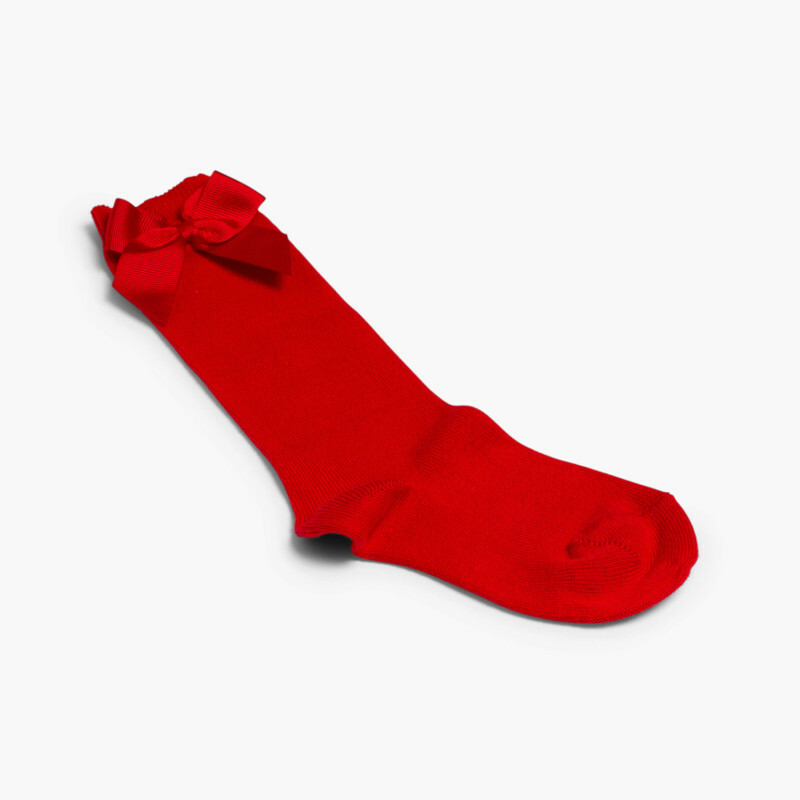 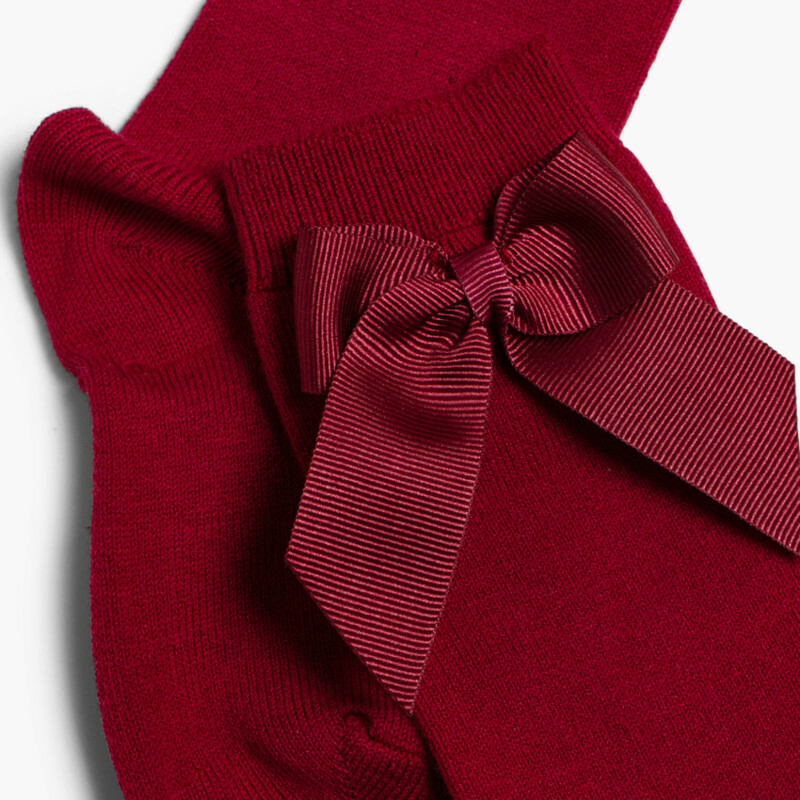 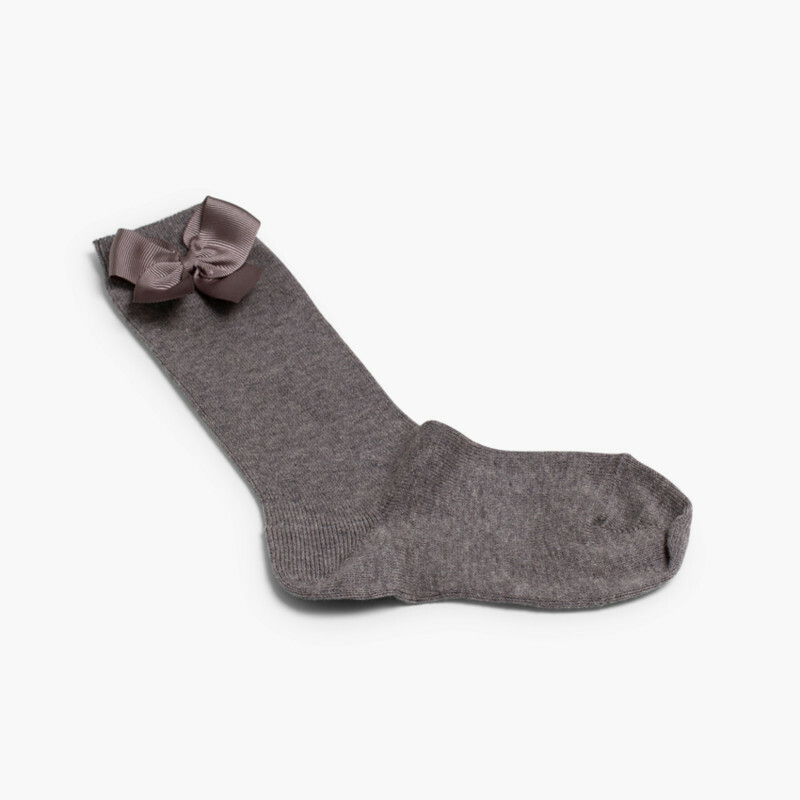 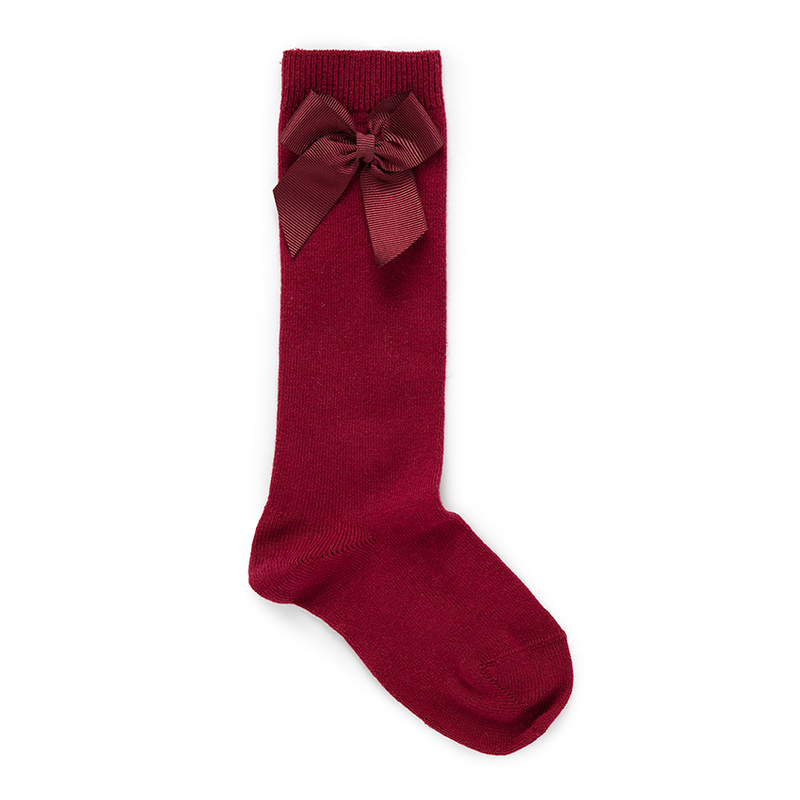 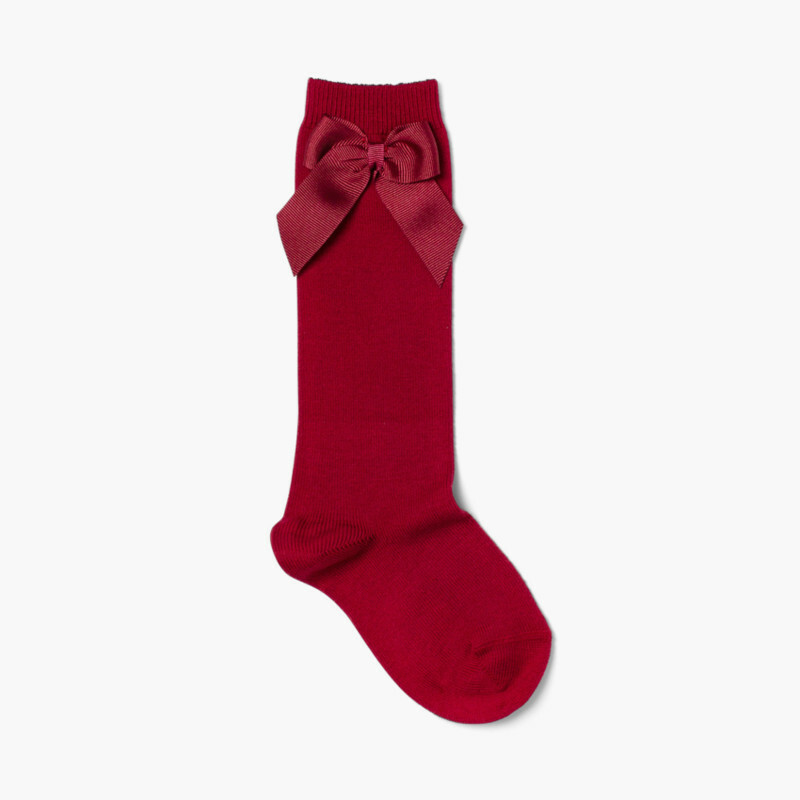 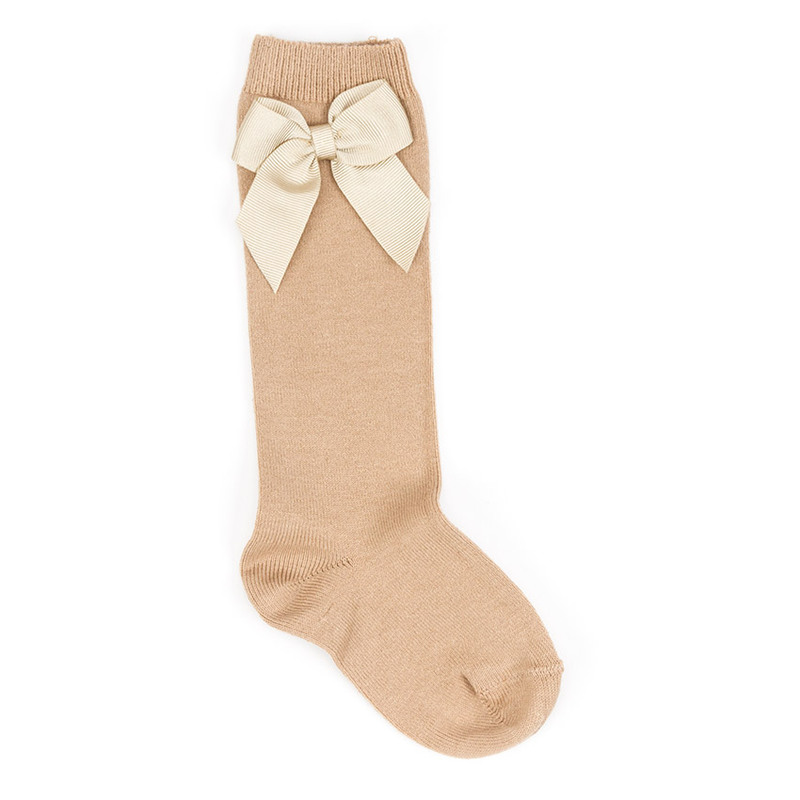 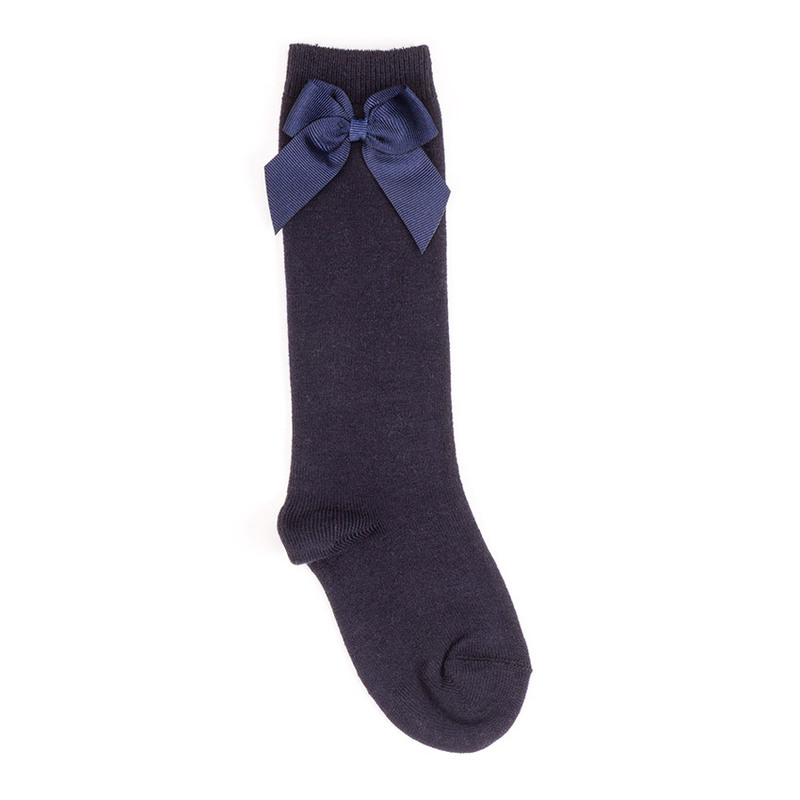 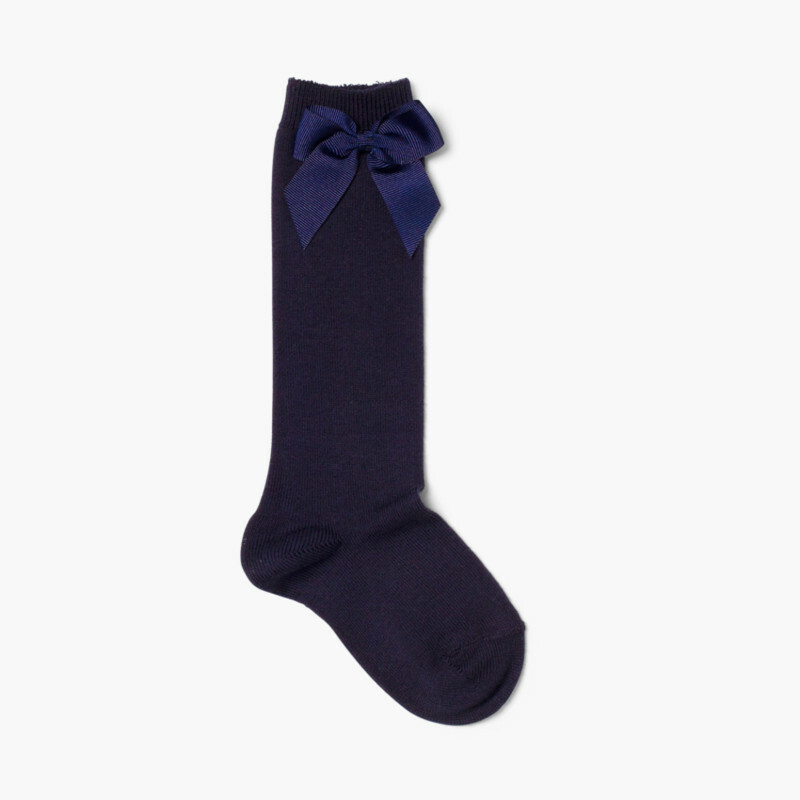 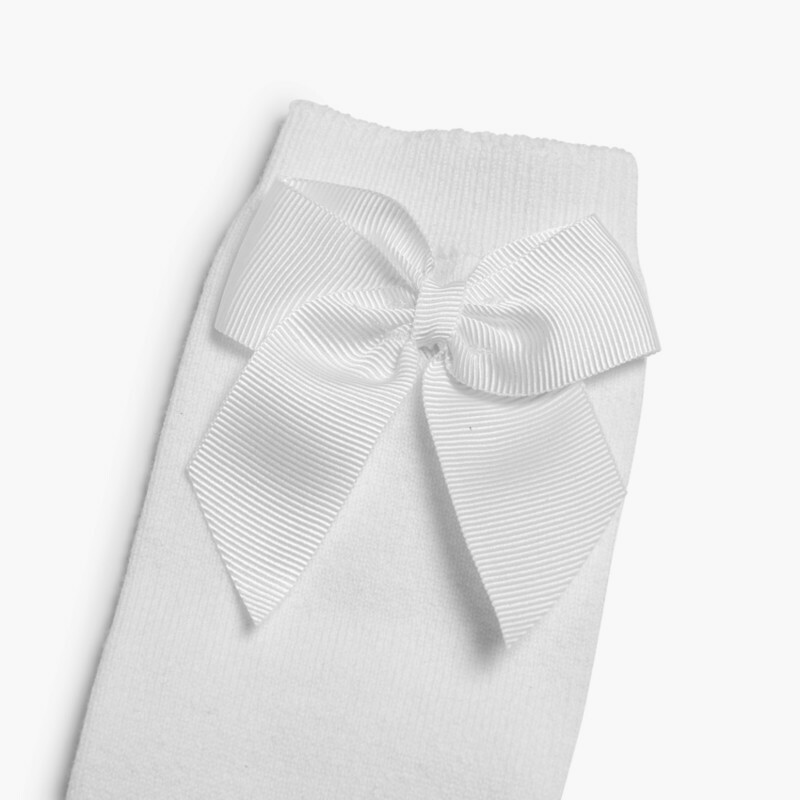 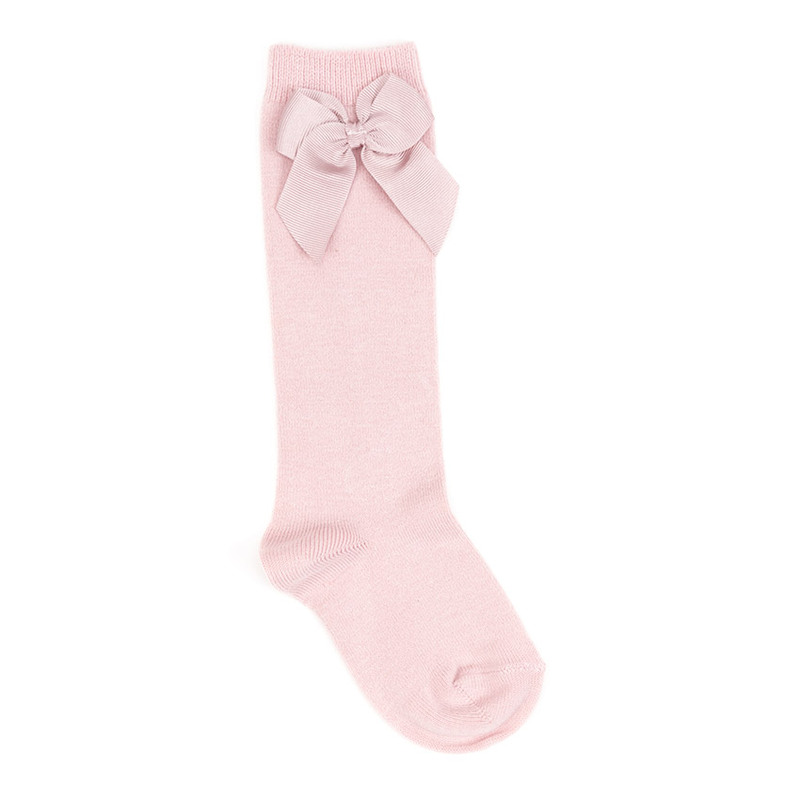 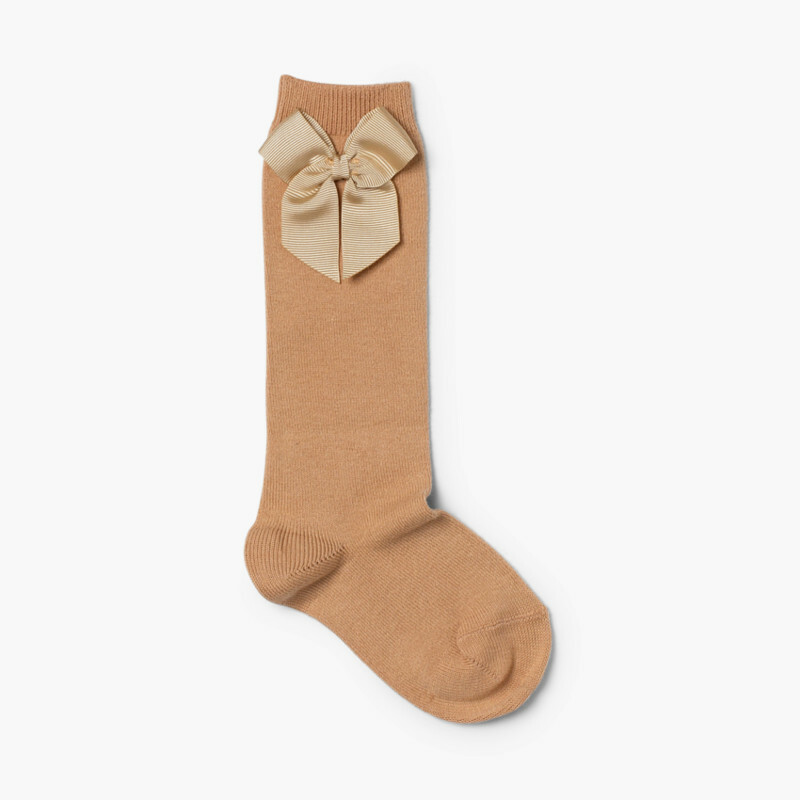 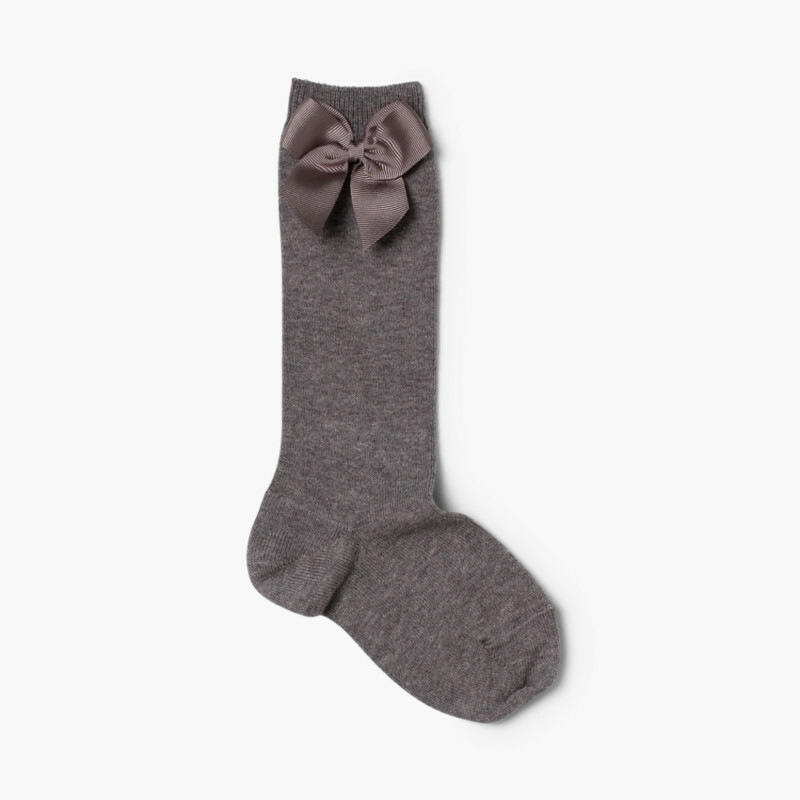 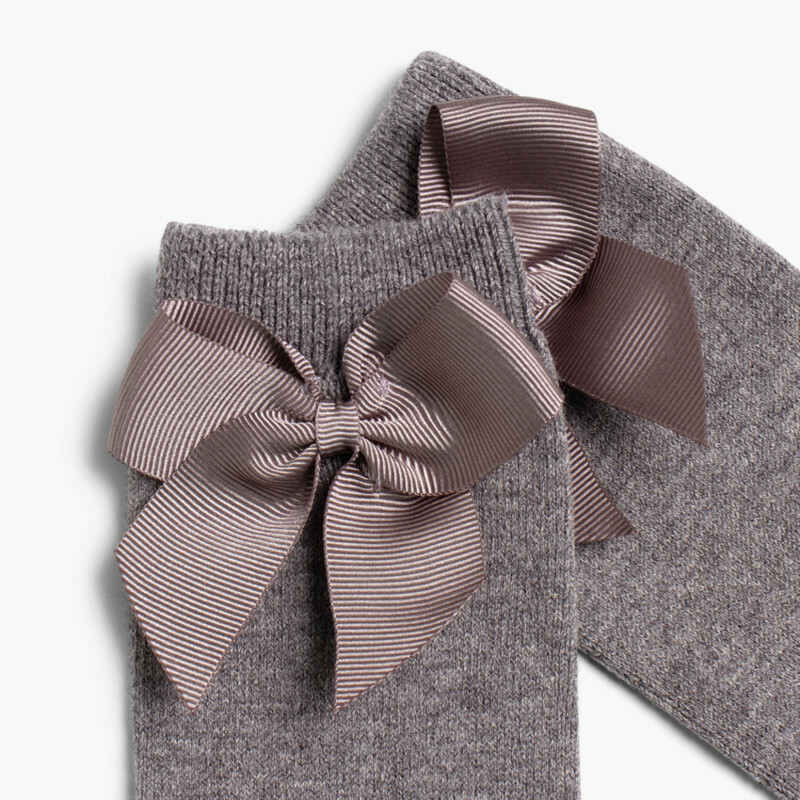 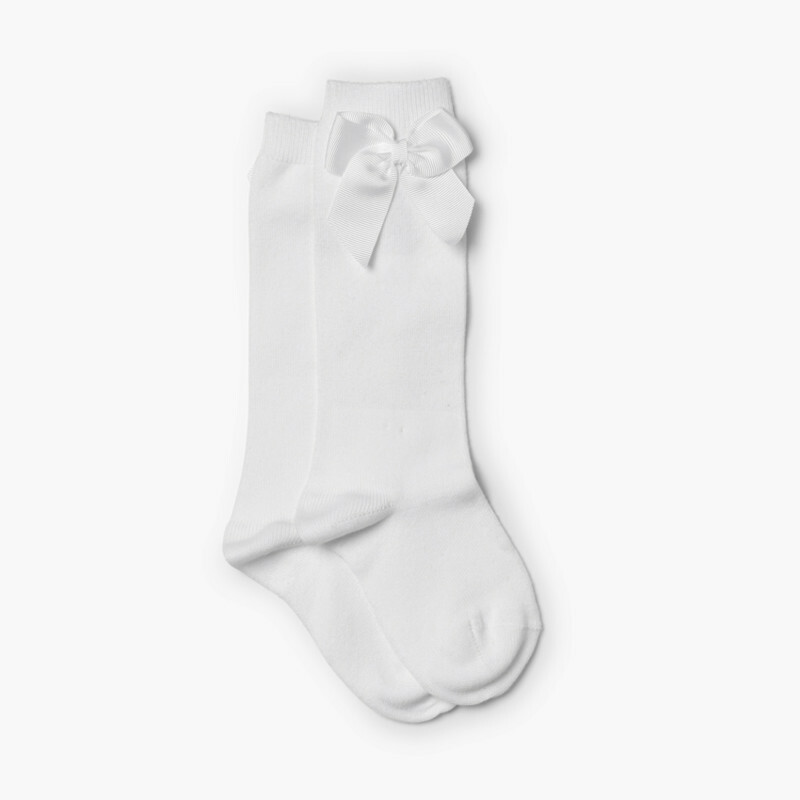 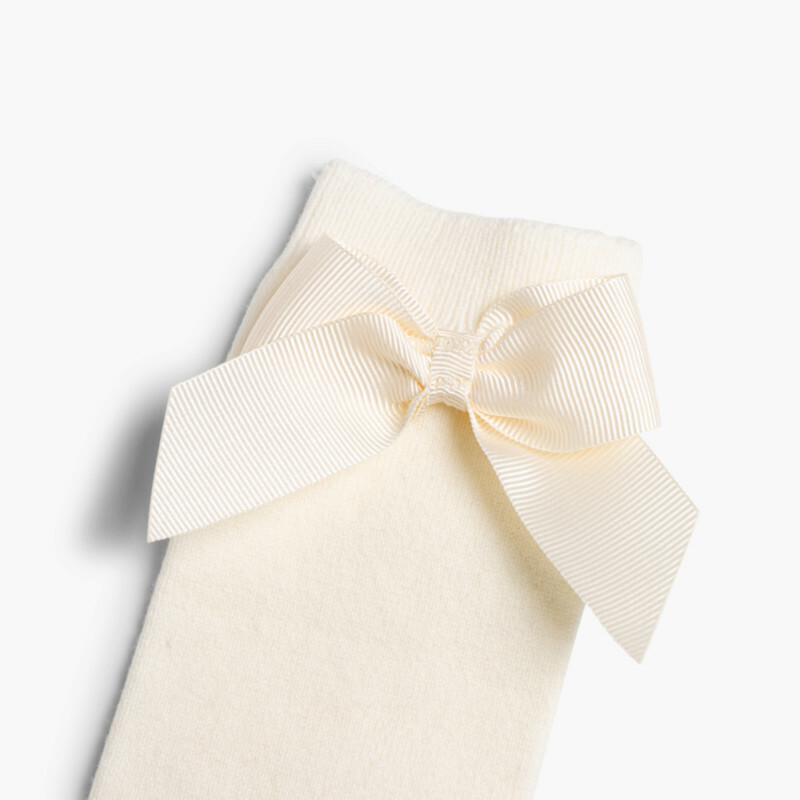 Are you looking for socks for your daughter with an elegant touch? 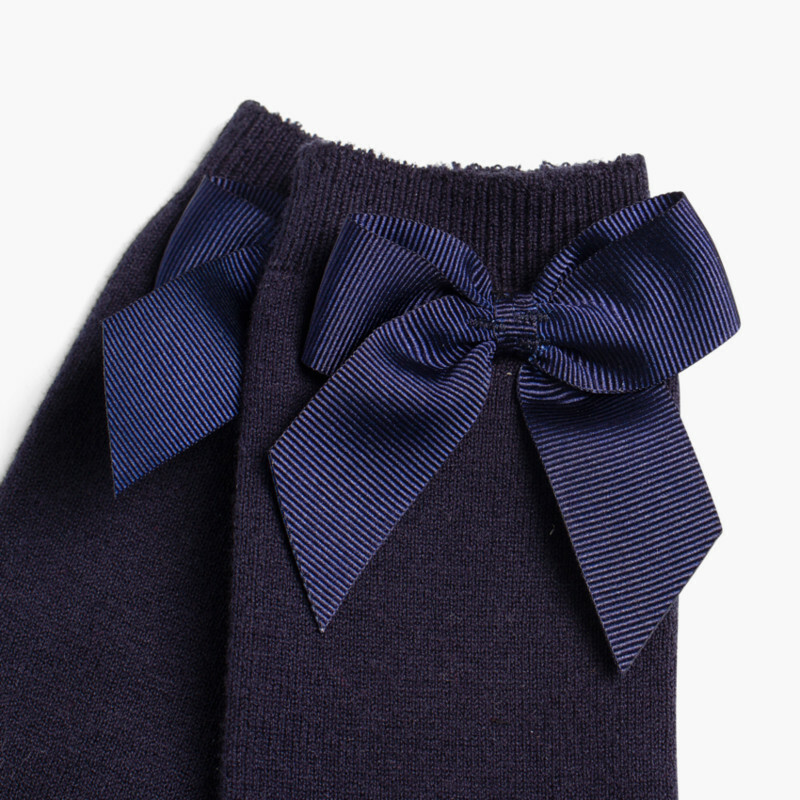 We have this knee-length plain Condor design with a grosgrain bow that will look perfect when your little girls has to dress up. 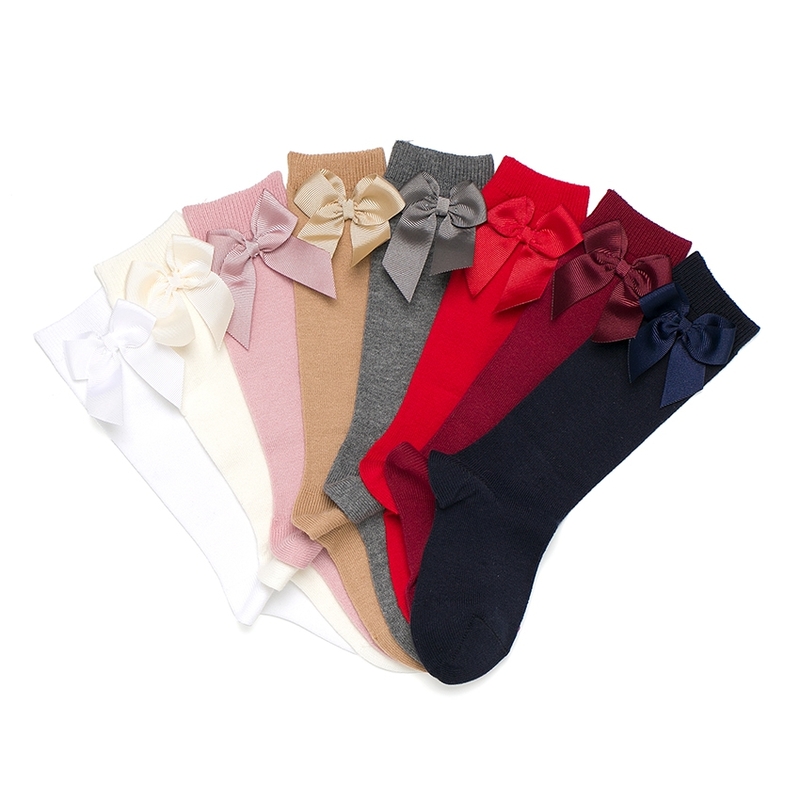 They are available in different colours, to match all her outfits, and are very comfortable. 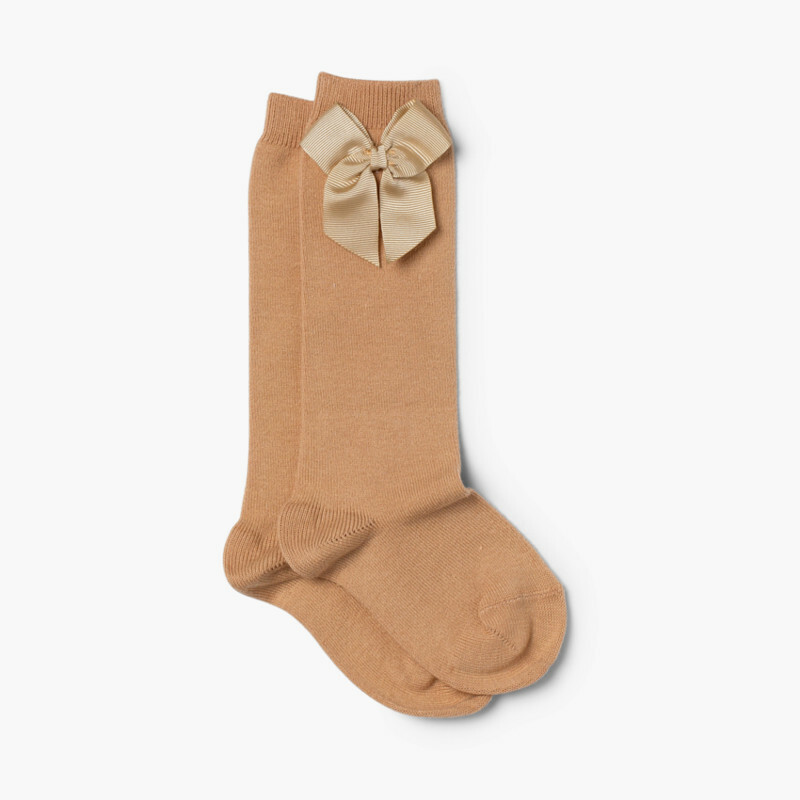 They are the perfect match for flats, Mary Janes and boots. 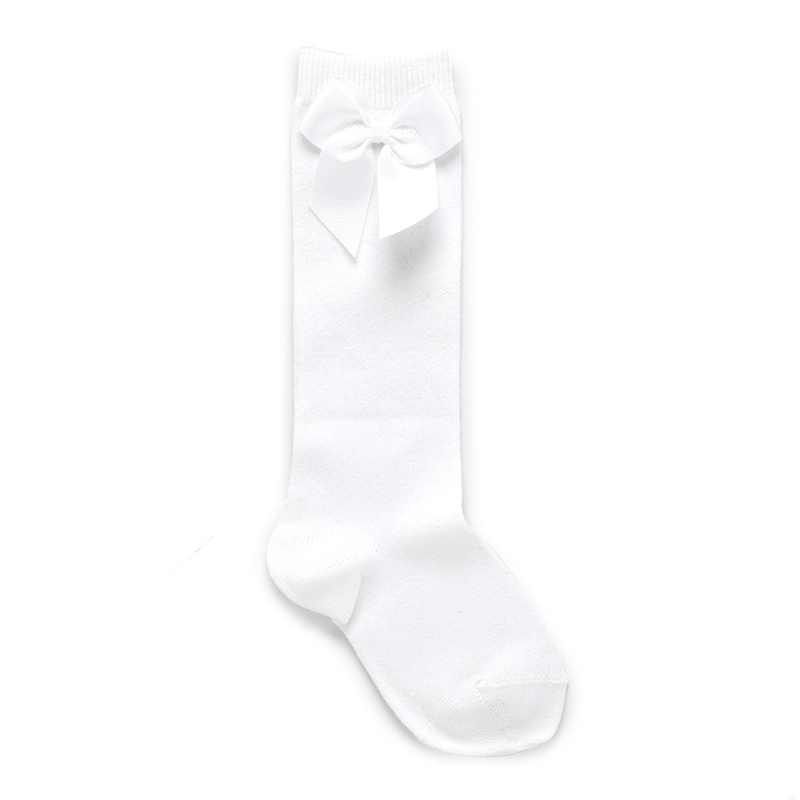 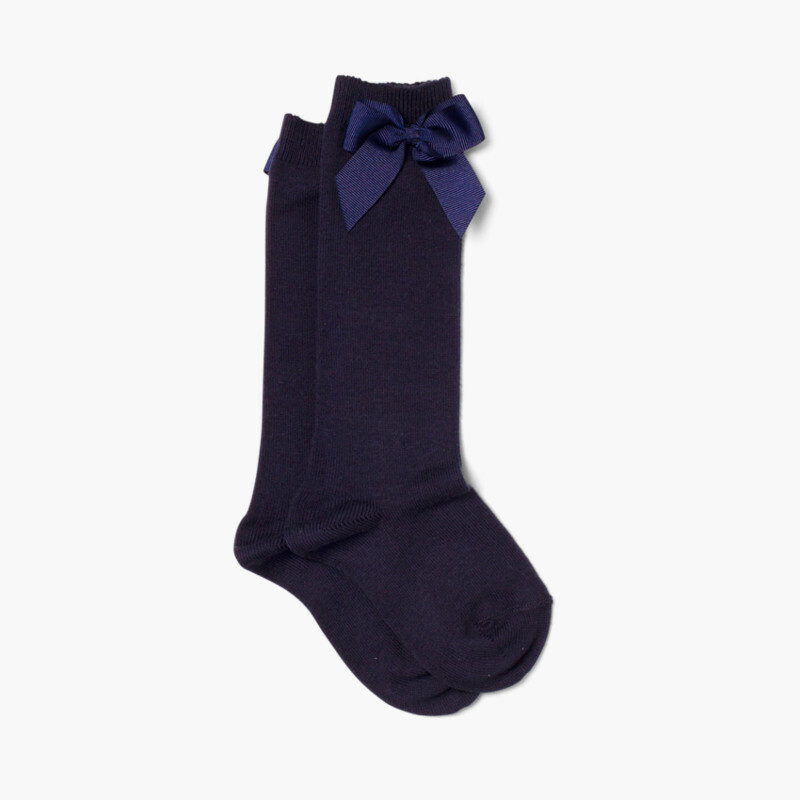 These cotton socks by Condor are very resistant and will become the go-to accessory in your daughter’s wardrobe during the spring and autumn months. They are comfortable, they aren’t too tight, there’s no bobbling and their elastane content ensures they don’t fall while walking and keeps them looking brand new. 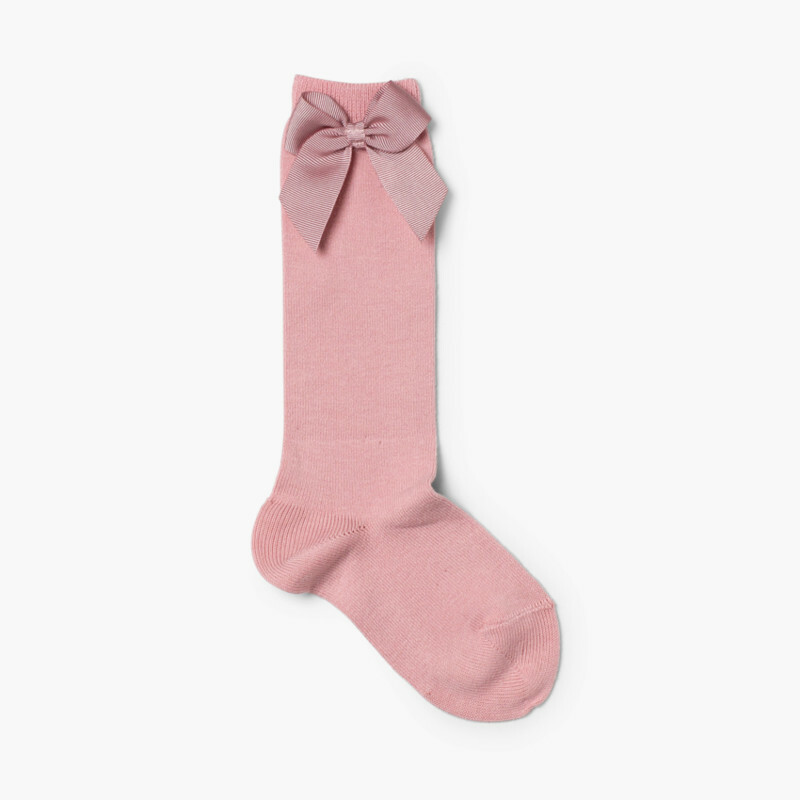 Don’t forget to have a look at our accessories section where you’ll also find woollen tights, microfiber tights and socks with many different designs along with many other accessories that will provide the perfect look. 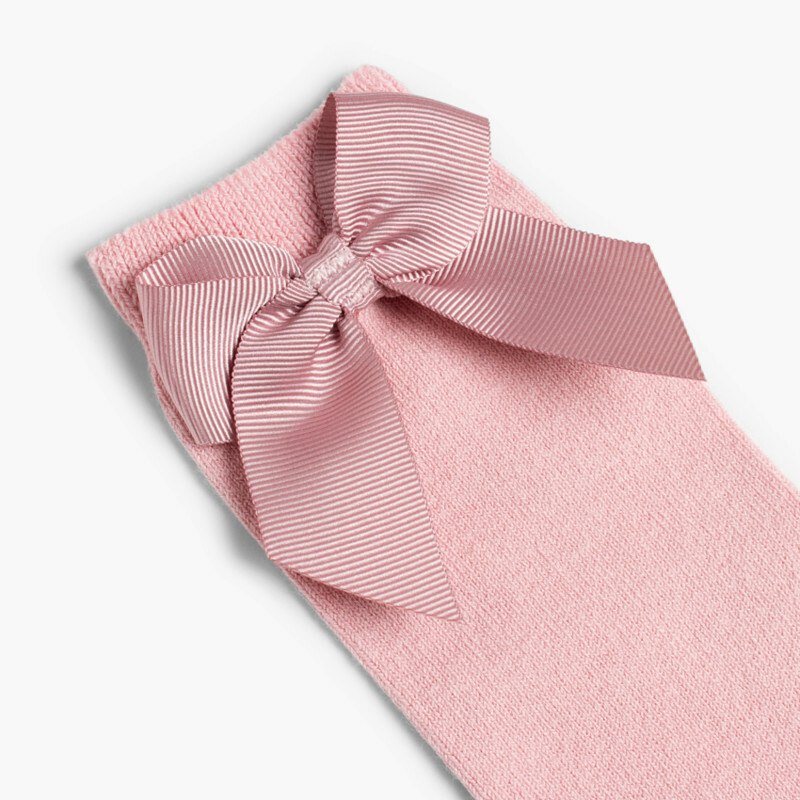 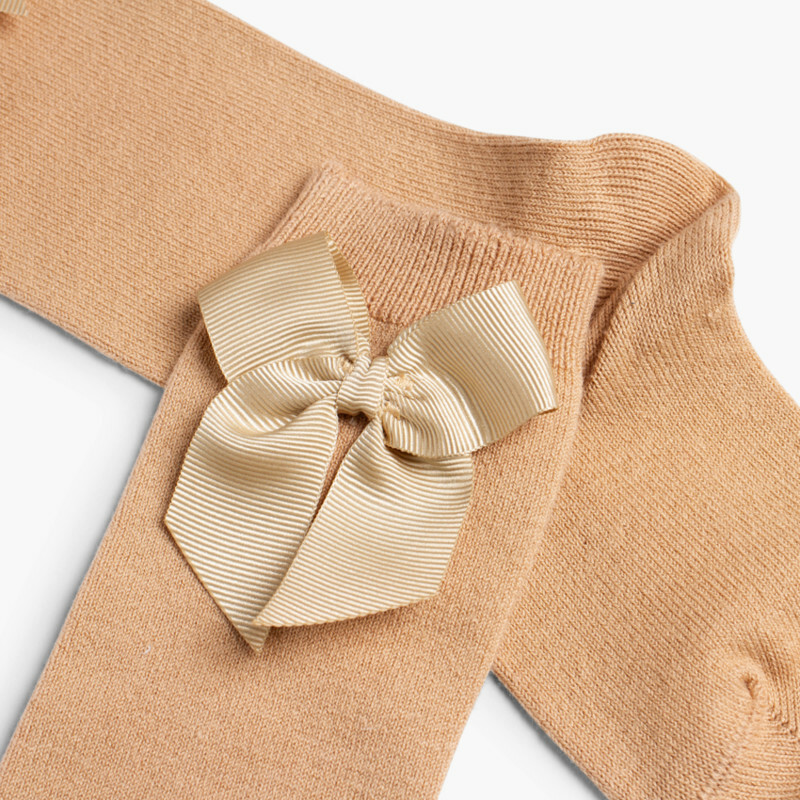 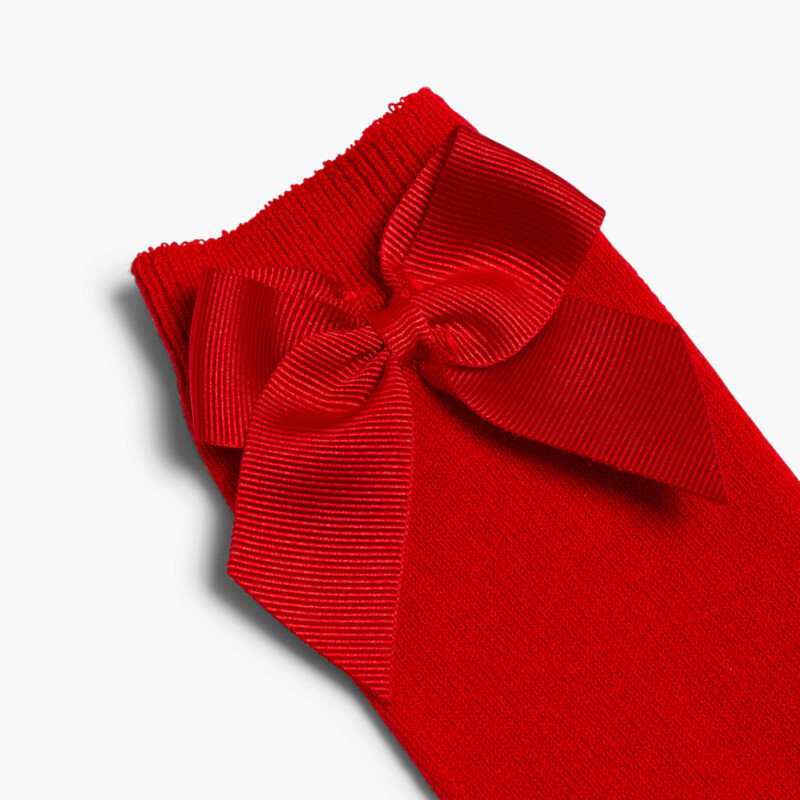 You can wear these socks with bow with our riptape faux suede Mary Janes: you will definitely find the colour that you need to match their outfit! 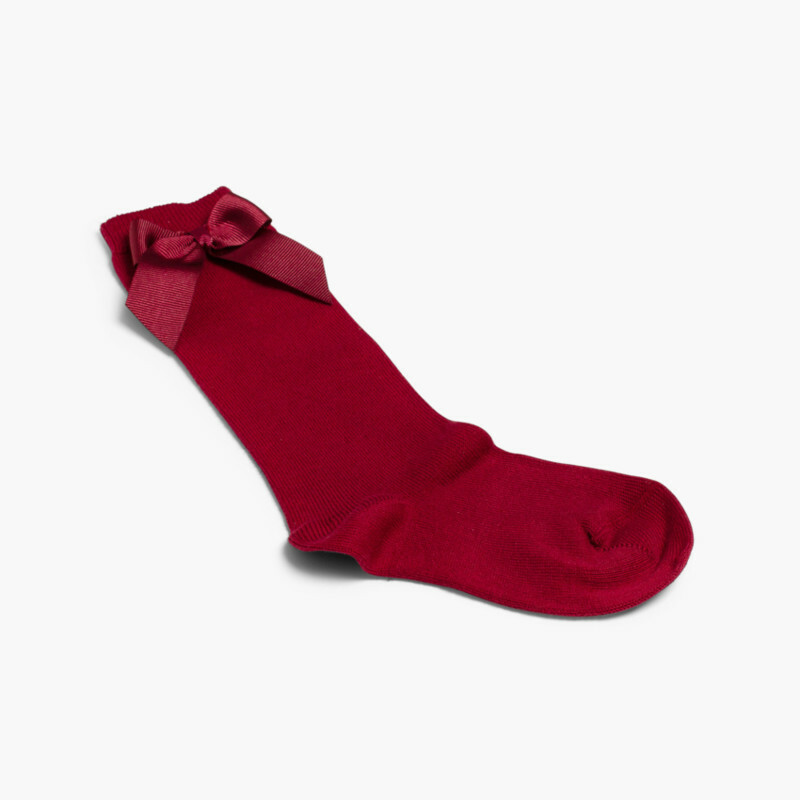 Made in Spain with the trust provided by Condor, you can get yours at Pisamonas cheaper and with free shipping. 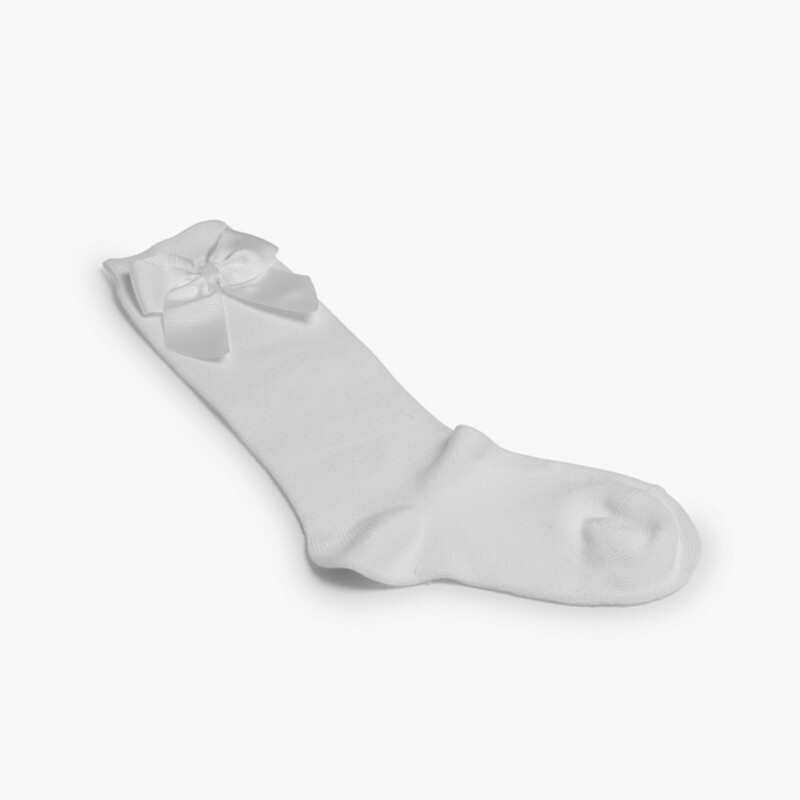 For hygienic reasons, exchanges and returns are not accepted for this product. 75% cotton, 22% polyamide, 3% elastane.